Even though the iPhone 5s was released a few months ago, we have already seen many rumors for Apple’s next generation iPhone 6. 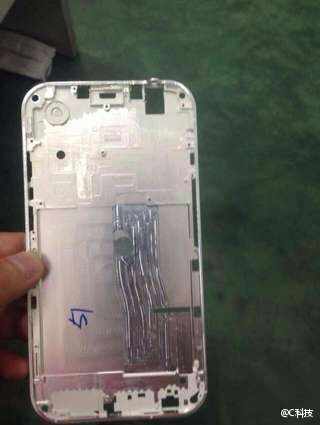 Apple leaker C-Tech, who is either a hit or a miss, posted the photos below of what appears to be the iPhone 6 metal housing. The photos show the device being very thin, (as rumors have pointed to, perhaps 6mm) making the iPhone Air name rather appropriate. You can also see the larger back frame, lining up to other rumors that the iPhone will feature a larger display around 4.7 to 5 inches. Obviously the authenticity of these photos cannot be verified, but do you think the images are legit? You accidentally left your micro USB charger back at the hotel… 500 miles away. 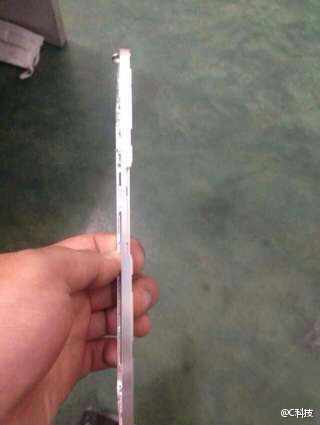 Now it’s time to buy a new one. You pick up a cheapie from your nearest electronics retailer and hey, what gives? What used to take 3 hours to charge now takes 12. Turns out not all chargers are created equal, even if they look similar. Here are some quick buying guidelines that’ll save you time and ensure you’re using a charger that’s optimized for your device’s power requirements. First, some background. Charging power is based on three things: power (P, measured in Watts), current (I, measured in amps or milliamps), and voltage (V, measured in volts). The amount of power is determined by the equation P = IV. In other words, power is the product of current multiplied by voltage. Because larger devices like tablets have substantially bigger batteries than smartphones, chargers designed for the former tend to deliver energy at a higher rate (a higher current). For example, consider these charging scenarios for the Retina iPad mini. 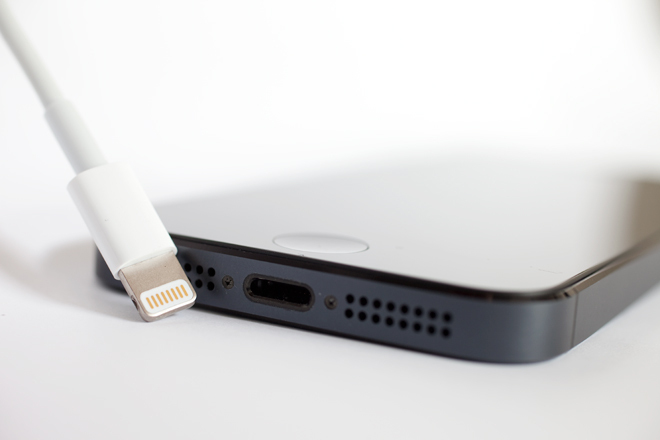 You could use a Lightning connector plugged into a computer (via USB), an iPhone charger connected to a wall socket, or an iPad charger connected to a wall socket. A PC USB charger delivers 2.5 Watts of power (5 volts at 500 mA). An iPhone charger delivers 5 Watts (5 volts at 1000 mA). A Retina iPad mini charger delivers 10 watts (5.1 volts at 2100 mA). While all of these will charge your iPad, using the USB connected to a PC will charge your Retina mini four times slower than if you used the iPad charger it came with. Conversely, if you use a tablet charger for your smartphone, it’d charge up faster than normal (Note: Some devices like the iPhone will only draw up to 1A of current no matter the charger). If you play mix-and-match with these types of chargers like this, don’t worry — you’re not going to blow up your phone or anything crazy like that. And the myth that charging your device at a faster rate will reduce the life of your device’s battery is false. For some older devices, the higher specced charger just won’t work at all, while newer devices will just charge faster. Ultimately, it’s really the amperage that determines how fast a charger will supply power to your device. If you want quicker charging, look for a wall or car charger that delivers 2100 mA of current at 5 volts (or whatever voltage the device you’re trying to charge is specced at). If you’re grabbing a new charger off the shelf, there are a couple other things you should consider. One of them is the logo that identifies compliance with international standards. These can be faked. The CE mark is a popular one, and as someone in this forum thread unfortunately discovered, his substandard charger sported a fake CE mark. The C and E in the actual logo should each be approximately a half circle, and if you continued the circle of each letter fully, the two circles would just link together in the middle. If a charger has incorrect capitalization for the current and power output it’s supposed to deliver (think “MA” instead of “mA,” for milliamps), that could be a sign that the charger isn’t up to snuff too. Having no manufacturer label on the device could also be a red flag. Analytics startup Parse.ly has released its third bi-monthly “Authority Report” on Wednesday, and the big finding is that the majority of traffic for some top online publishers still comes via laptop and desktop computers. The company analyzed the screen sizes of devices that its customers’ readers use to access their content, and found that about 60 percent of all traffic came from devices with screen ratios of 16:9 or 16:10, indicating it came mostly from laptops or desktops. Overall, traffic from mobile devices accounts for between 10 and 20 percent of traffic, peaking at nearly 20 percent in the evenings and with most of it — at least 13.8 percent — coming from Apple iPads or iPhones. 1. So who actually is the best company today? 2. Who is going to win going forward? Let’s do a quick comparison on product innovation, CEOs and leadership, brand and design, ecosystem, giving customers what they want, and profits and growth. Have included my view at the bottom. Historically this was a no-brainer as Apple leapfrogged everybody with its new product breakthroughs: iPod, iPhone and iPad. However, since Tim Cook took over as CEO in 2011, the charge is that Apple has become more of an iterator rather than an innovator. For years, the Apple rumor mill has forecast (wrongly) the imminent arrival of the iWatch and the iTV, while Samsung has brought these products to market, with the Galaxy Gear and Smart TV. Google too is pushing ahead with new product categories, like the Google Glass smart-glasses. By contrast, the fingerprint sensor unique to the new iPhone 5s has been well-received and is thought to have been well-executed. In what Apple claims to be “the most forward-thinking iPhone ever”, the iPhone 5s is also the first smartphone to market with a 64-bit processor, the A7, which ironically is manufactured by Samsung. So it seems we have a battle between perfection and getting it out new products fast and refining them later. If it continues on current product feature trajectories, then I would favor Samsung. But what Apple fans and stock analysts alike are crying out for are bold, new product categories which could rest the game back in Apple’s favor. You may be surprised to learn that Samsung has not just one but three CEOs. In post since June 2012, Dr. Oh-Hyun Kwon is Vice Chairman & CEO. Then in March 2013, Samsung also promoted two of its presidents to CEO: most significantly for this discussion, Jong-Kyun Shin, who heads up Samsung’s mobile division, and also Boo-Keun Yoon, head of the appliances division. They do still both report to Oh-Hyun Kwon though, so he maybe the more dominant player. As is common in the culture of Korean companies, Samsung hasn’t provided anything more than minimal bios for these executives, so we don’t know a huge amount about them beyond a handful of interviews that they have given over the years. We do know that before he become CEO, Kwon oversaw Samsung’s components business, which makes displays, chips, memory, processors, etc. Kwon helped lock down one of his division’s biggest customers, Apple. Apple uses a lot of Samsung components in its mobile devices. Under Kwon, Samsung became the second largest chip maker in the world. And it is still in the shadow of the visionary Jobs that Tim Cook is currently judged. Cook was a very competent logistics man and COO, but as Jobs himself expressed, “Tim is not a product person”. I see him as a ‘professional manager’ who risks managing processes rather than putting the next dent in the universe. He has done some good things, like improving internal collaboration and corporate governance, but he is not the great showman like Jobs and the jury is out on him. It will be interesting to see the impact next year when Burberry CEO Angela Ahrendts joins Apple as SVP Retail & Online Stores – will they create more of a fashion and customer focused Apple? Maybe Angela will be Apple CEO in the future? Overall, currently Samsung’s leadership has more momentum, as they are executing at speed, picking up customers, gaining market share and widening product range. Yet there are still big challenges. While “crisis” at Samsung doesn’t sound great, it is good that the co-CEOs are facing reality and involving the wider management team. It contrasts favorably with Steve Jobs’ famous “reality distortion field”, which helped move mountains in product development, but often meant that he was abrasive and slow to acknowledge problems and challenges (e.g. iPhone 4 ‘Antennagate’). Wonder whether Apple has a ‘reality distortion field’ on its top team’s leadership performance? The Apple brand and logo are currently more recognized around the Western world, and in London and New York, you cannot walk down the street without seeing a sea of white headphones and people playing with their iPhones. The Brand Finance Global 500 2013 puts Apple and Samsung right at the very top of the best brands in the world, ahead of Coca-Cola and Google. Samsung smartphones are broadly comparable, feature-for-feature, with competitors like HTC, Sony, LG and now Nokia, so why has it become so dominant? A big part of the answer lies in its sheer marketing muscle – Samsung spends a bigger chunk of its annual revenue on advertising and promotion than any other of the world’s top-20 companies by sales – 5.4%, according to Thomson Reuters data. Apple spends just 0.6%, and General Motors 3.5%. Adverts mocking Apple fans, and heavy investment in product placement and in distribution channels have strengthened its Galaxy mobile brand. 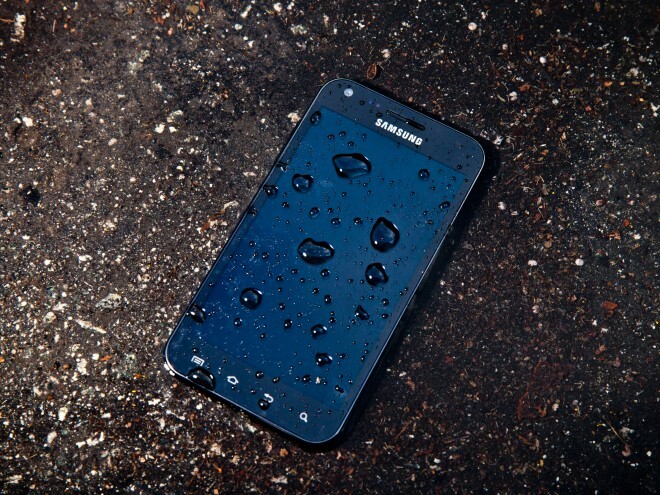 Samsung now sells one in every three smartphones and has more than double Apple’s market share. Is this enough to make Samsung loved? Apple may sit in top position now, but has lost its mojo over the last couple of years through lackluster product releases and perceived lack of innovation. Samsung is catching up and is already no. 2. The Samsung brand can be improved and it isn’t loved by some like Apple, but I am impressed with the leadership team for seizing the opportunity to leapfrog all its other competitors, through investment and execution with conviction. 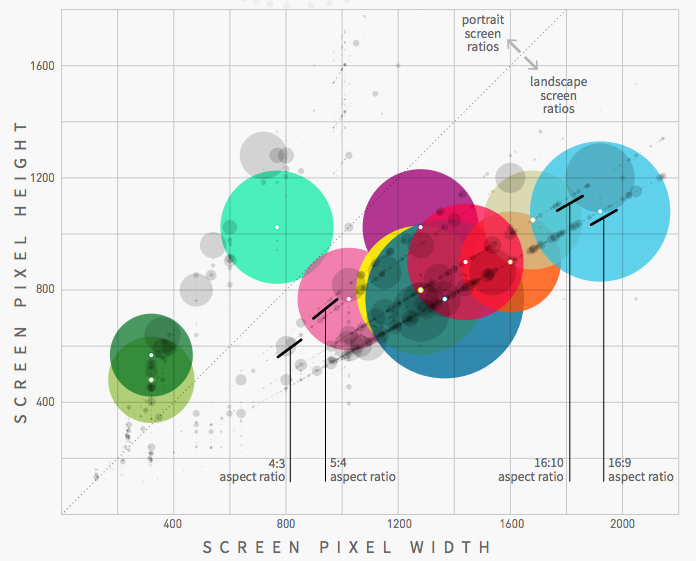 Apple wins the medal, but do simplicity and beauty still trump a bigger screen? Apple has long placed design at the heart of its product development policy. Steve Jobs famously used to obsess about details that nobody would ever see, such as the look of Apple’s factories and the internals of products… this trend was taken to its logical extreme with the launch of the translucent plastic iMac in 1998. When the iPhone was launched in 2007, its all-touchscreen and single-button front was distinctive and simple. Apple has honed the design over the years with glass casing and then unibody aluminum, but fundamentally it remains unchanged. The iPad takes the same design cues and it gets ever lighter and thinner. Apple’s aluminum MacBooks and iMacs are widely considered to be the most beautiful, slick and minimal. Sir Jony Ive, Senior Vice President of Design, keeps the Jobs design obsession alive at Apple. His biographer Leander Kahney recently called him the “soul” of Apple, adding, “Ive has a mad, total, one-hundred-and-ten-percent commitment to making the best products humanly possible.” Sir Jony once flew to Japan to watch a sword-maker forge a katana, in his quest to make the MacBook Air even thinner. His remit has now been expanded to software as well as hardware, leading to the flatter, cartoon-like and generally well-received iOS 7 iPhone software update rolled out in September. However, now that nearly all smartphones have an all-touchscreen front, the differences between them are less striking. Samsung’s current flagship the Galaxy S4 in some aspects has a less polished look than the iPhone 5s, with a polycarbonate plastic backing. However, it has a singular design feature: big, beautiful, highest-definition screens, that dwarf the iPhone and its “Retina” display. The design is “good enough” for consumers who are more focused on features, price and a bigger screen canvas. Overall it feels that Apple still has the design edge. Apple wins the medal with its “walled garden”. This is where Apple still excels. Tim Cook likes to claim that, “Apple has unique strengths in products, software and services”. I think it’s a bit simpler than that. Apple products still broadly have the reputation that they “just work”, and indeed they have made technology more accessible and made us more connected. Add to that the 1,000,000 apps available to download in the App Store and you have a very powerful platform that is seamless across multiple devices. People (willingly) get locked in to Apple’s “walled garden” and it is difficult to persuade them to make the move outside it. Samsung on the other hand is highly reliant on Google’s Android mobile operating system for smartphones and tablets, and on Microsoft for Windows PCs. While the apps on the Google Play store have caught up in number with the Apple app store, they have historically been slower to come to market and less reliable due to the large fragmentation of Android devices. The Android tablet apps were thought to be just blown-up smartphone apps rather than iPad-style apps fully reimagined for a larger screen, although this is changing. Where Samsung adds onto its devices its own user interface, this is sometimes considered to be “bloatware” that gets in the way of the user experience and duplicates or slows down the core Android or Windows operating system. So here Apple’s obsession with control does pay a dividend for ordinary users wanting stable and intuitive devices. Principal CEO Oh-Hyun Kwon has publicly acknowledged that this is a weakness and important area of development for Samsung: “A particular focus must be given to serving new customer experience and value by strengthening soft capabilities in software, user experience, design, and solutions.” He also believes that to secure an “an absolute lead” the company, “must have dominance over new technology and global markets”. Looking at buyers of new smartphones, the above chart shows that not many users switch from Apple to Samsung, at only 11%. This is critical to Apple’s long-term survival since Apple users are sticking with iOS and not defecting to Samsung. Apple is having about one-third of its users coming from Android. It is interesting to note that similar to all buyers first-time smartphone buyers favor Samsung by about a three to one margin, approximately 6% vs. 2%, over Apple. Customers within Apple’s walled garden broadly get what they want in terms of a seamless user experience across iPhones, iPads and Macs, but they have a much more restricted choice when it comes to variations of new devices. There is only one top-end iPhone (the 5s), and only a big or a small iPad (the iPad Air or the iPad Mini). Steve Jobs famously liked to make these kinds of decisions for customers rather than bother them with a confusing array of options. By contrast, Samsung makes a much wider range of devices in all shapes and sizes, at a range of price points. They can even go bigger than the Galaxy S4, with a Galaxy Note smartphone known as a “phablet” that blurs the distinction between phone and tablet. Samsung also makes a range of hybrid PCs that fuse tablet and laptop, as well as TVs, kitchen appliances and the new Galaxy Gear smartwatch. The bigger screen in particular seems to be the biggest draw over Apple, although it is something that Apple is likely to correct with the launch of a bigger iPhone 6 in 2014. The most recent Fortune 500 Global rankings of worldwide companies (based on revenue in their fiscal years ended on or before March 31st, 2013) shows that Samsung topped Apple with revenue totaling $178.6 billion, compared to $156.5 bn. However, with $41.7bn in profit, Apple was beaten only by ExxonMobil. This was more than double Samsung’s $20.6 billion annual profit. For now, Apple’s iPhone business is holding up well – it sold 150 million iPhones in its last fiscal year ending in September, as well as 71 million iPads. Indeed, Apple can still claim 70% of the profits in the smartphone sector. The gloss has come off slightly off Samsung’s sales machine – it fell far short of initial estimates that it would sell 100 million Galaxy S4 units, and it is instead now predicting of 100 million total Galaxy S and Note series phones, phablets and tablet devices up until the end of the year. Apple’s share price has had a tough fall from its all-time highs of $700, although it has since recovered a lot of the ground as stands at year highs of over $560. This is partially fueled by rumors that it is finally about to do a deal to get carrier coverage for the iPhone with China Mobile, the world’s largest mobile carrier and potentially a big source of growth. But for me, this is again an example of a deal that should have happened years ago and which has been hampered by poor execution. Another question mark is the recent launch of the iPhone 5c, with the ‘c’ being variously said to stand for “color”, “cheap” and “China”. It had been hoped that a lower end model would help Apple to gain share in emerging markets, although is it only $80 cheaper that the iPhone 5s and Tim Cook has said that it is a mid-tier rather than low-tier model. This does however give Apple pricing flexibility for the future and, in a market subject to increasing commoditization, I quite admire Apple for standing firm on its high profit margins. So overall today they seem to be neck and neck but I do see the growth of Samsung to be steadier and more sustained. We’re all fascinated by Apple, but so much of what we hear turns out just to be rumors. Right now it remains a profit generating machine, but long-term that will change if it fails to recapture the public imagination and innovate into new product categories. Samsung has weathered years of legal action, and having initially copied parts of the Apple playbook, it is now starting to innovate into new areas. These are some tips on how to improve the battery life of your iPhone, iPad, and iPod touch running iOS. 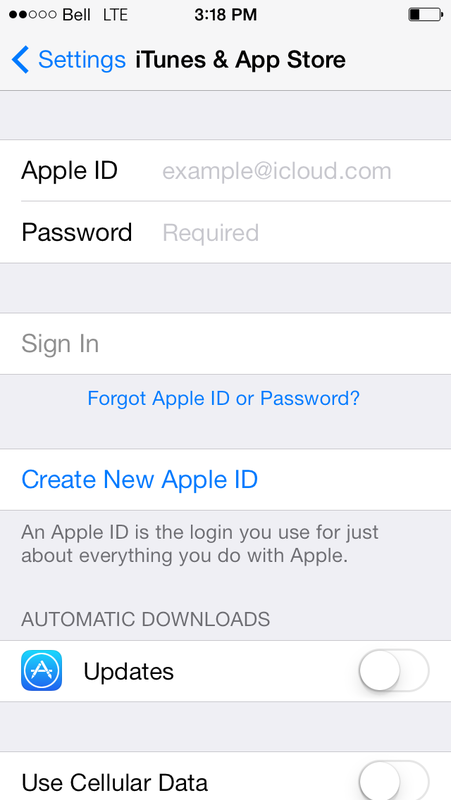 Some of these tips apply to just iOS 7 but many can be applied to older versions of iOS as well. Let us know how much your battery life improves in the comments! 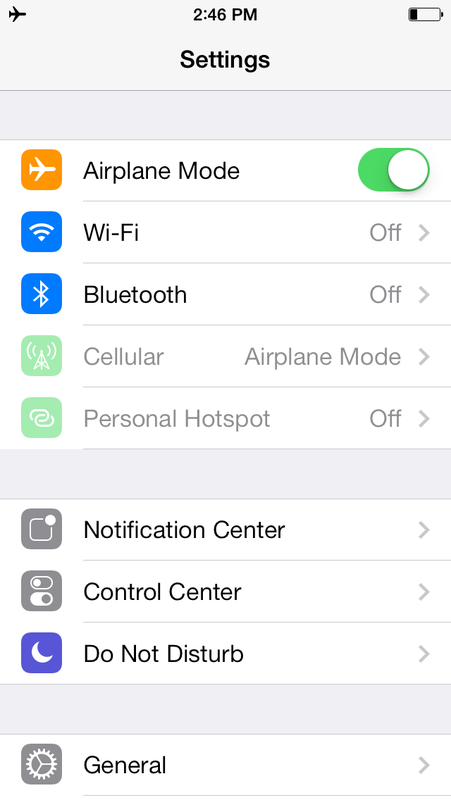 iOS 7 brings the ability for apps to refresh their content when on Wi-Fi or cellular and even use location services. 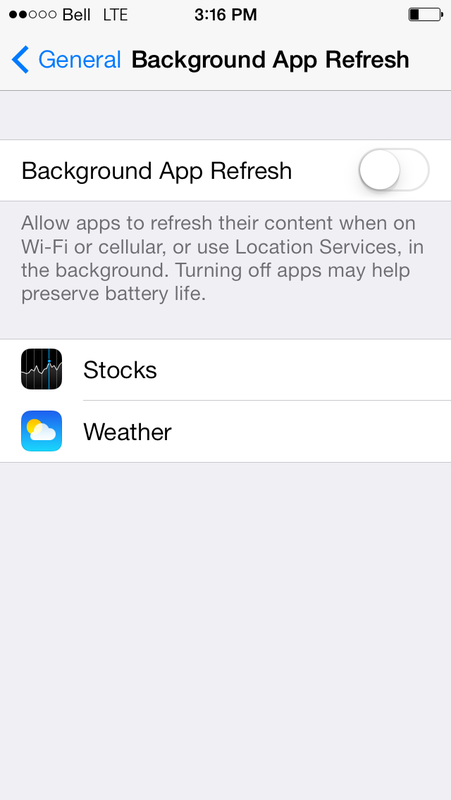 To preserve battery life, we recommend disabling Background App Refresh completely. Note that doing this will kill location services for your applications, so you won’t be able to use Navigation in the background – therefore you may want to fine-tune this setting based on your preferences. In addition, you may want to close applications you aren’t using via the Multitasking Switcher (Double press the Home button and swipe an app preview up and out of the list). You should turn off AirDrop when you do not need it. This prevents you from using Bluetooth and Wi-Fi when not in use when the device is in “discoverable” mode. 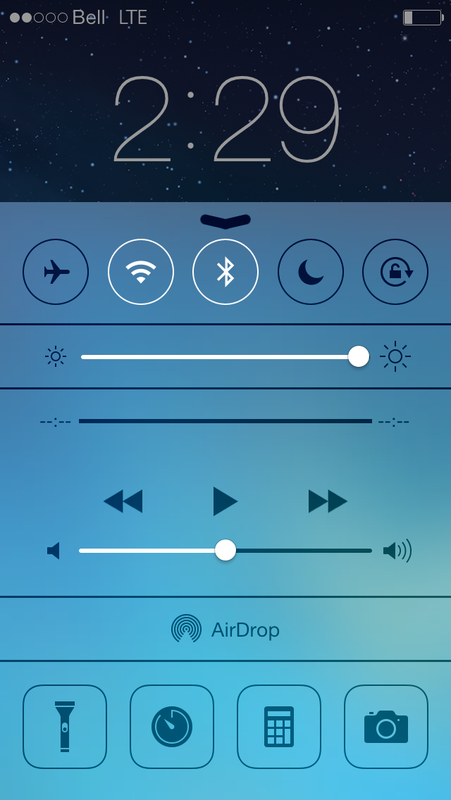 Simply swipe up on control center to turn it off. iOS 7 brings the ability to automatically update apps, however that works in the background and can take a toll on your battery life. 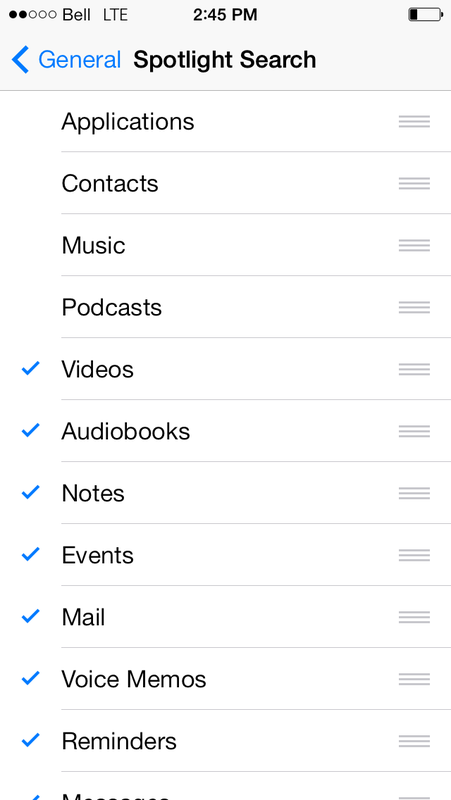 Tap the settings icon, scroll down to iTunes & App Store and turn off all automatic downloads. If you still want automatic app updates, try enabling them while turning off cellular data. 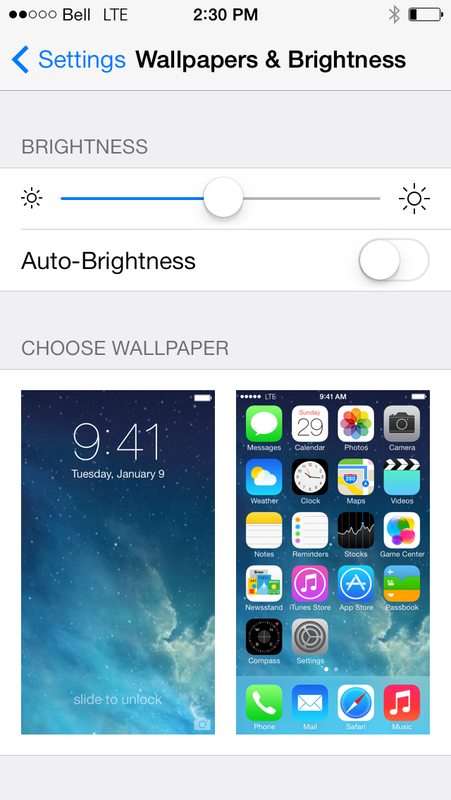 Brightness is the most obvious battery-draining cause on the iPhone. Obviously, try to limit and reduce your brightness at all times. Going a step further, you can disable automatic brightness to improve battery life since the phone will no longer check the ambient light and determine the “best” brightness. 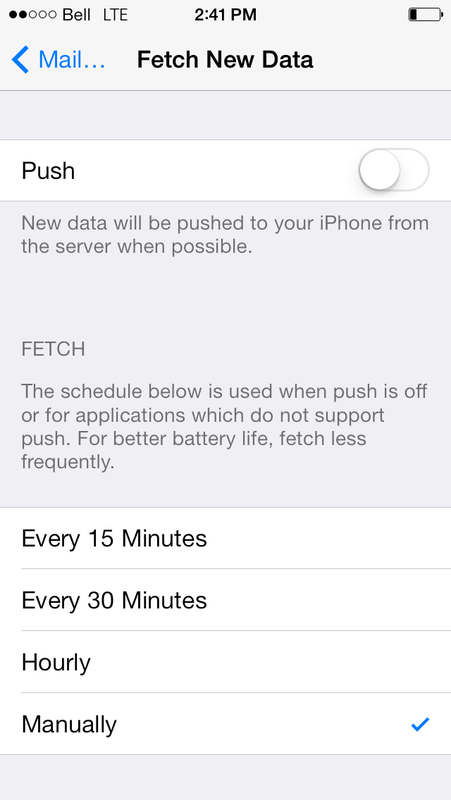 Apple’s iOS is designed to in a way preserve battery life when using push notification. That is, the number of push notifications you receive have a minimal effect on battery life. However, when receiving notifications that cause your screen to light up and phone to vibrate, your battery life will be affected. 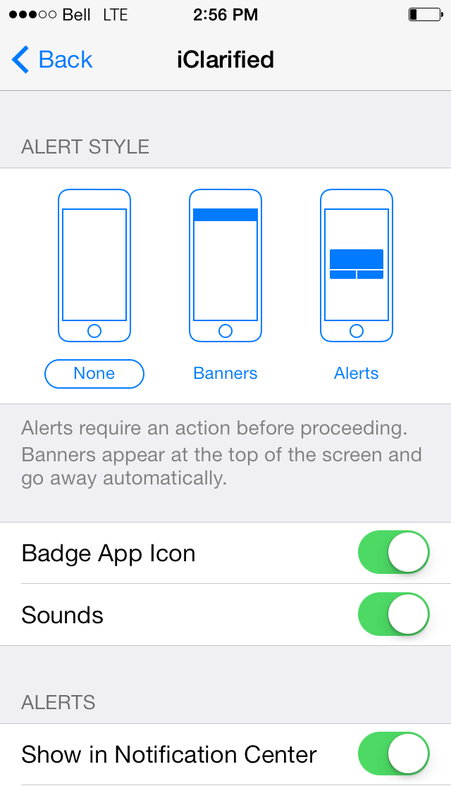 We recommending setting some notifications to not show any alerts. You can set alerts to ‘None’ on a per app basis. 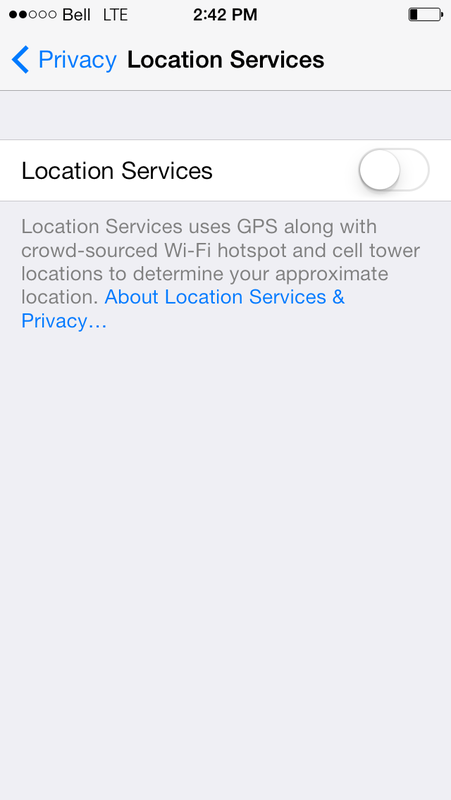 ● Settings > Privacy > Location Services > System Services, then toggle the Frequent Locations to the off position. iOS has many system location services that check your location to improve compass calibration, cell network search, and more. We recommend turning off most of these system services to improve battery. However, if you use the compass often, or travel often, some settings should be left on such as “Compass Calibration” or “Setting Time Zone.” We leave “Cell Network Search” on as well. Apps must request approval from you as well. 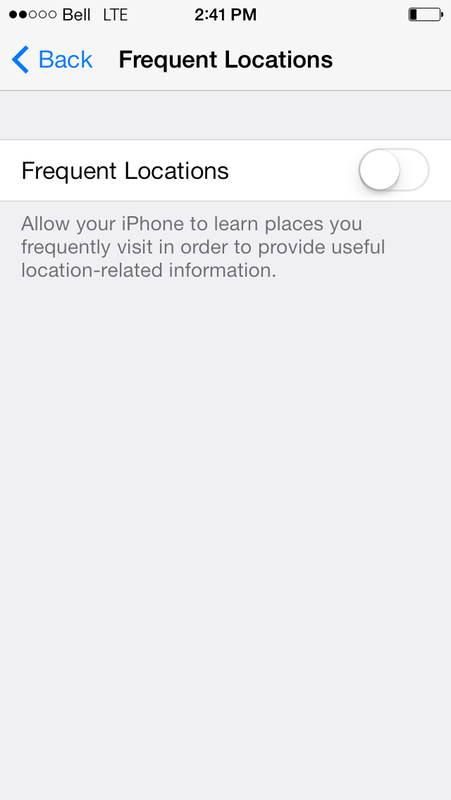 If you really need location services for an app, obviously leave them on. However, you might not want some applications to fetch your locations, so feel free to toggle them off here as well. For instance, if you don’t care for Twitter tweeting your location, turn it off! Be sure to always turn off Wi-Fi when you’re out of range of a known network. 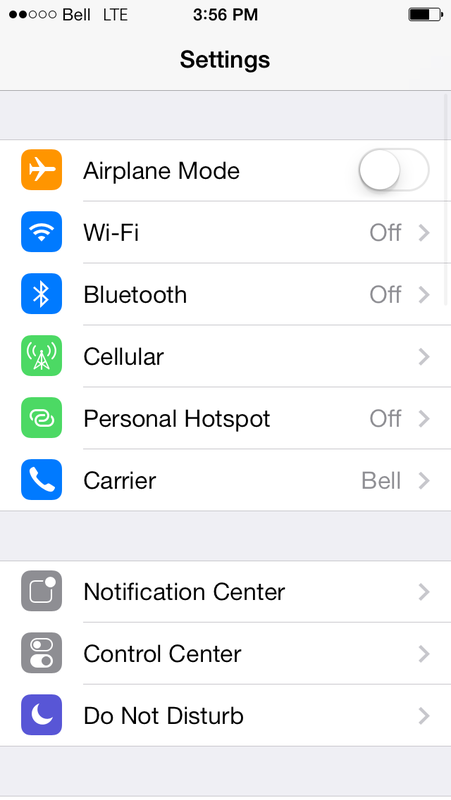 This prevents the iOS device from constantly checking for known networks in range. Whenever you can use Wi-Fi, use it! Wi-Fi is much more efficient than cellular data so you can save battery this way. Be sure to set Ask to Join Networks off to stay connected to that network. Similarly, be sure to turn off Bluetooth at all times that you can. 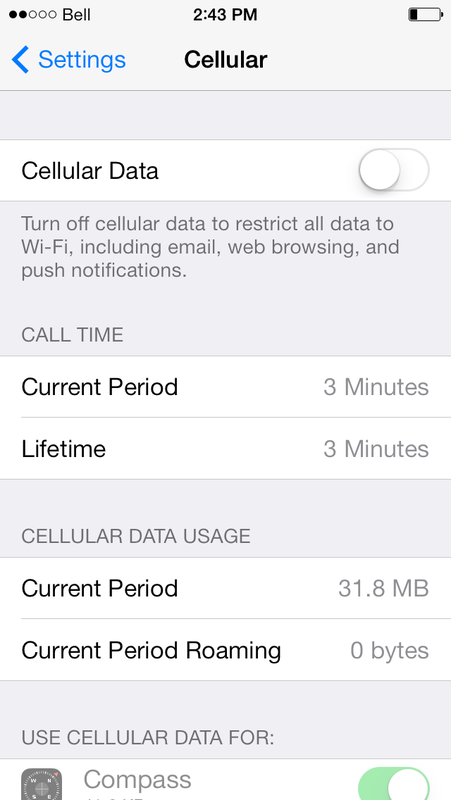 If you don’t care for using cellular data for some apps and services, turn them off. 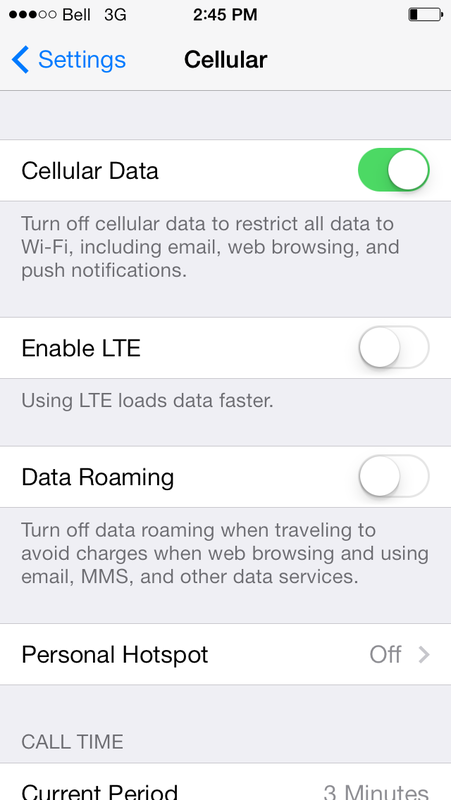 iOS has many different toggles for cellular data use and some are hidden, so be sure to check all of them listed below! 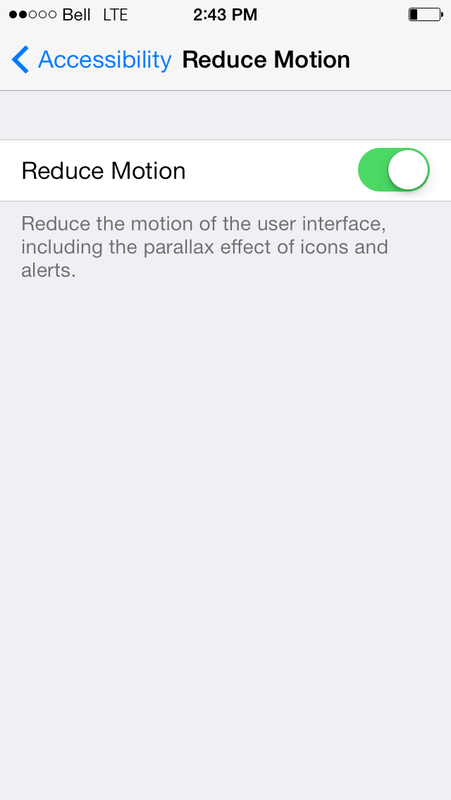 iOS 7 brings a nice parallax effect on icons and alerts, but this constantly tracks your motion to provide the effect. Reduce motion to prevent this and improve battery life. 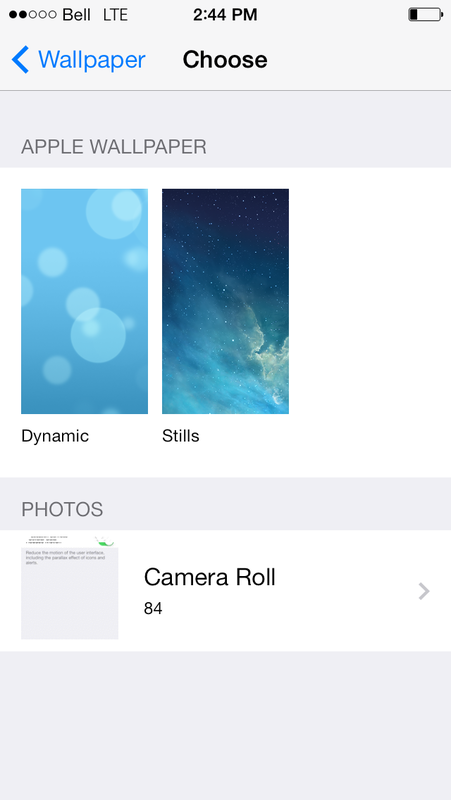 iOS 7 comes with dynamic wallpapers that move around based on the movement of your device. These moving backgrounds consume much more battery power than regular wallpapers so we recommend that you stay away from them and use Still wallpapers. 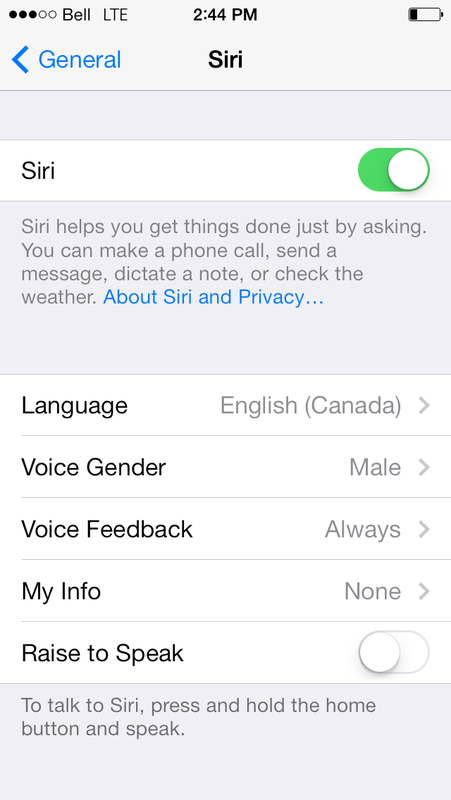 Disable Siri’s raise to speak function to prevent the iPhone from constantly checking the proximity sensor to see if the device has been raised to your ear. Spotlight indexes your entire device’s filesystem to provide instant search results of your most used contacts, apps and more. Indexing can cause a strain on the battery life, so try to turn OFF any items on the list that you don’t use to prevent the OS from indexing that type of data. Having your phone constantly vibrate can affect battery life as well, but having a vibrate feature is extremely useful. Try to disable vibrate for some contacts/notifications/text messages. If you’re in a 4G Area only, we recommend turning off LTE connectivity. Leaving LTE on actually drains the battery by constantly checking for an LTE signal (and if your carrier does not have LTE in your area, this is a waste). Similarly, if you’re in a 2G area only, disable 4G/LTE connectivity as well. However, if you are in an LTE area, we recommend leaving LTE on since Apple actually cites better browsing (in hours) on LTE versus 4G connectivity. 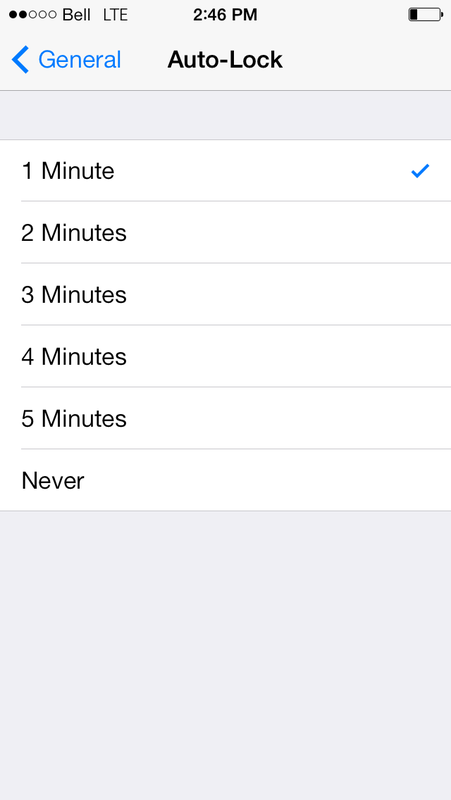 Set Auto-Lock to 1 Minute to reduce the amount of time it takes for the iPhone’s display to shut off. Better yet, always lock the device immediately after use to prevent the ~1 minute your display would be on. If you’re in a known dead zone that has no cellular service, turn on Airplane mode until your reach an area with cellular service. This prevents the phone from constantly checking for a signal, and can be a main cause of battery drain. 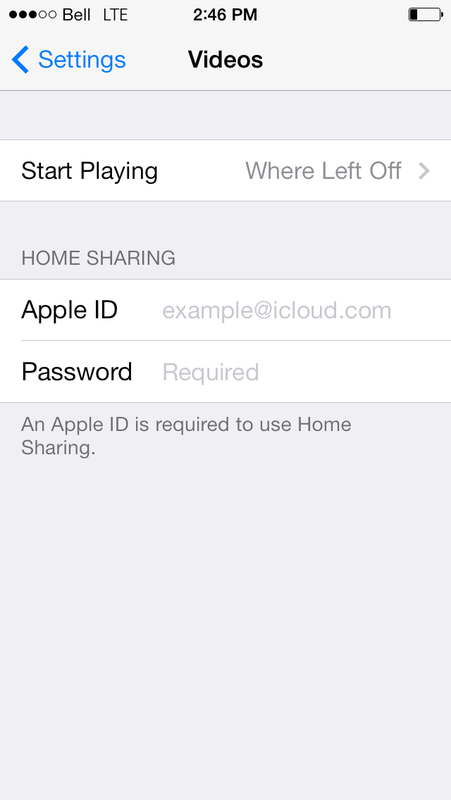 If you don’t use Wi-Fi Sync, and often leave your iTunes open on the same network as your iPhone, turn off Wi-Fi sync. Streaming a movie or song from a computer to your iOS device can cause a huge battery drain. We recommend not using home sharing at all unless it is a feature you really like. If you previously had a jailbreak, and no longer have one, try setting up an iPhone as new instead of restoring form backup. This way you don’t restore unnecessary files. Some users claim that turning off iPod equalizer will improve battery life, but in our tests (and others across the web) this does not seem to be the case. 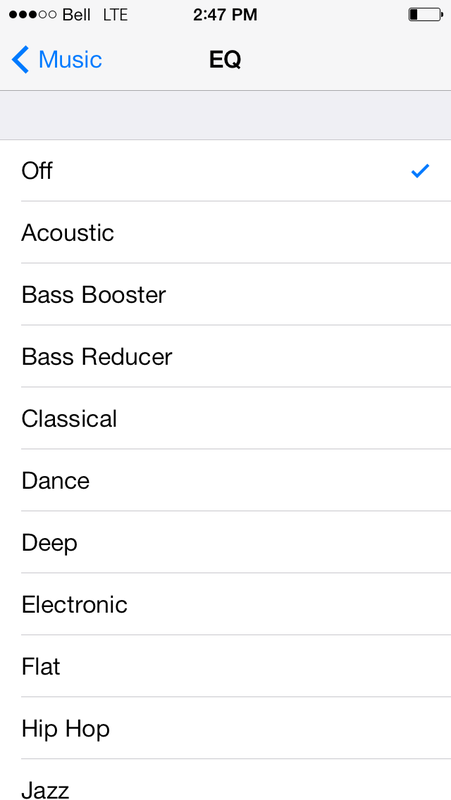 But if you really want to, turn off equalizer. 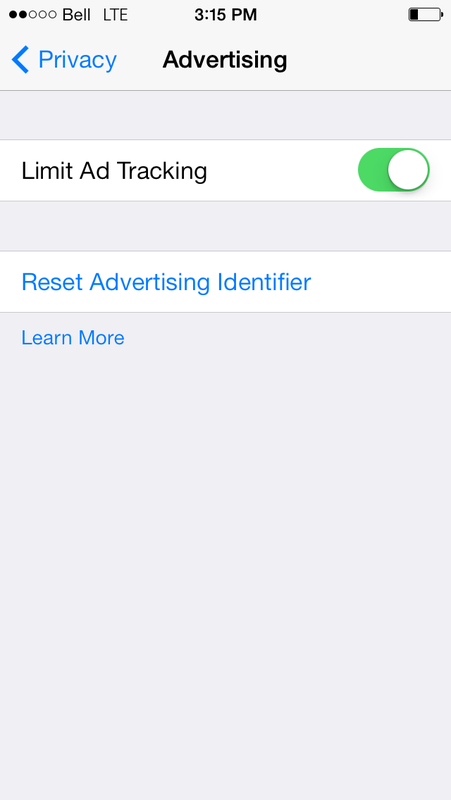 There are some reports that limiting ad tracking might improve your battery life. You may want to experiment with this setting to determine if it makes a difference on your device. ASK AGAIN LATER: Apple Inventing Solar Charging Accessory Apple’s been dabbling in the solar power game for a while — at least according to its intellectual property filings. The company’s latest invention to come out of the U.S. Patent and Trademark Office is a solar panel accessory that doesn’t need a power converter and would work with a MacBook, iPhone, iPad, or iPod touch via USB or a power connector. They key part of the patent is the power management circuitry, which could be embedded in the device itself. Could we start seeing partially solar powered devices or accessories from Apple in the not too distant future? It’s definitely possible. ASK AGAIN LATER: Retina iPad Mini Could Launch November 21 Target.com let slip in a product listing that the iPad mini with Retina display would be released November 21, a week before Thanksgiving. This particular release date is interesting — Apple usually releases products on a Friday (like the iPad Air, which just went on sale today). However, with holiday travel, Black Friday, and all that jazz, it could make sense for Apple to give iPad mini admirers some extra time before the weekend officially lands to get their hands on the new tablet. Or maybe the 21st isn’t the real date after all. SIGNS POINT TO YES: Job Listing Indicates Apple Working on Maps’ Transit Directions It’s about time: Two job listing seem to show that Apple is working on adding transit directions to Apple Maps. The positions are “Maps Public Transit Engineering Manager” and “Public Transit Software Engineer,” and both would (logically) work on the Maps team to improve its “Transit Routing” platform. If it wants to be competitive with mapping app leaders like Google, transit directions are a must. It makes complete sense that Apple would want to beef up its team on this front.